[ Li-ion Battery ]. We do our best for you!! [ Other Carrier ]. [ Multiple sizes and colors ]. Japan Usage Item. [ Electronics ]. Japanese Warranty Only. [ Warranty ]. I believe it is the quickest and safest option. No Foreign Cheques. Personal Cheques have to clear before goods are released. Bank Deposit, Money Orders. Item Type: PlayStation 3. 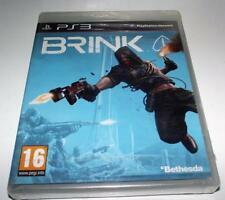 Platform: Sony PlayStation 3. They maybe marked, or have identifying markings on it, or show other signs of previous use. Region Code: NTSC-U/C (US/Canada). Very Good Condition. Adult owned. 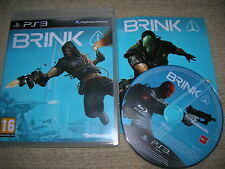 BRINK (PS3) Playstation 3 "PAL"
Your country is very far from Japan and it takes long till the item reaches you. This product is available in Japan. Almost products have Japanese in its instructions or contents. Our Products are 100% Authentic. Condition : USED - GOOD! No (or Used) Online Pass Code. It is impossible to trace in Australia and Canada. It will arrive in 1-2 weeks. It will arrive in 2-4 weeks. Plug: TypeA. If title has "PreOrder" or "P/O", it will be released around release date. [ PreOrder ]. [ Rerun Policy]. exhilaration full S.M.A.R.T. system. Key features. "arc" and the fate of humanity is all. It is up to you. We are really glad to have a deal with people all over the world. Our products are 100% Authentic. Item Type: PlayStation 3. 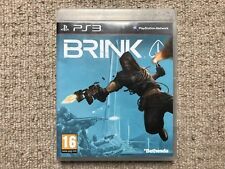 Platform: Sony PlayStation 3. Signs of wear can include aesthetic issues such as scratches, and discoloration. Condition: Used: Very Good. Condition: Used Very Good. They maybe marked, or have identifying markings on it, or show other signs of previous use. Middle East. Condition ___ Used(Good). (Pre-Order). Our staff will handle & attend to all your queries. If you to obtain original Japanese products in a safe & quick. Our products are 100% Authentic. Item Type: PlayStation 3. Condition: Used: Very Good. 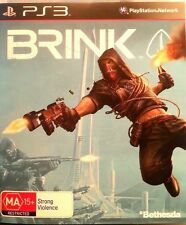 Will play on all Play Station 3 Consoles. United States &.